Note: Warning – this article is written by the petroleum industry. Read it with a critical lens. It is informative to see how corporations view protesters. This article describes how pipeline protesters undermine the infrastructure of the oil and gas industry, giving us a glimpse into their mindset. We found the sentence: “There is little question that professional activists and the mainstream media, which have been echoing their voices, have beat the industry to the punch when it comes to communicating with the public and mobilizing citizens to take a stance.” The reality is, it is not “professional protesters,” it is common people who are angry at the destruction caused by carbon polluters, pipelines and other infrastructure. It is not the corporate media that gets the story out. Mass media follows independent media (sites like this one) and social media where masses of people spread the word — if they cover protests at all. People power is what is slowing and defeating carbon infrastructure. It is the people’s media that is getting the word out. It is a constant struggle of people putting their interests and protection of the environment ahead of pollution created for profit. If corporations accepted how widespread opposition is to their continued destruction of the planet, they would realize that “getting out in front” of protests is not going to protect them. As people power grows, one of the tactics of the industry is to create fake grassroots groups, like the one in this article: the Consumer Energy Alliance. These groups put out propagandistic information to confuse people and compete with real grassroots efforts to stop carbon infrastructure. The reality that the industry is fighting is that the carbon energy era is ending and the oil and gas industry needs to begin to decommission pipelines, not build new ones. New investment is needed in clean sustainable energy that puts people and planet first. The irony has played out over and over again. Protestors of the Noble Discoverer, Shell’s Arctic drilling vessel, bobbed up and down in plastic kayaks off the coast of Seattle in May 2015 holding bright plastic signs in opposition to the industry. In 2016, thousands of protestors traveled in cars and planes for long distances to fight construction of the Dakota Access Pipeline in North Dakota. Yet just about everything protesters own — from blue jeans and cell phones to watercraft and picket signs — is made from petroleum products. And everywhere they travel, they rely on fossil fuels. But, they vehemently oppose fossil fuels and want the world’s oil and gas lifeline to shut down. This desire held by extremists is so strong that protesting industry-related projects is becoming an industry in itself — with a bullseye now set on pipelines. Groups such as Greenpeace, the Sierra Club and Food & Water Watch are harnessing the power of fear tactics and social media to spread falsehoods and misinformation in order to rally large groups of citizens to join their forces and put money in their coffers. And, they are becoming increasingly successful. In 2016, when a small group of Native Americans expressed concern about the Dakota Access Pipeline infringing on sacred sites of the Standing Rock Sioux Tribe, it did not take long for environmentalist groups to hijack the issue, change the narrative and publicly claim that the pipeline would pollute the water of the Missouri River, the primary source of drinking water for the Sioux tribe. In a matter of months, thousands of people had permanently camped at the Standing Rock Indian Reservation, protesting so vehemently that it cost pipeline builder Energy Transfer Partners approximately $30,000 a day for security, with an ultimate price tag estimated at $22 million. Construction of the 1,100-mile pipeline was shut down last December and was resurrected earlier this year by President Donald Trump with an executive order to expedite approvals. Insert another piece of irony: Not only were 95 percent of the environmentalists arrested in the protests not residents of North Dakota, they left behind nearly 5 million pounds of trash for the local community to clean up. In the eyes of many outsiders looking in, the moral of the story is that the oil and gas industry is at a crucial crossroads. In order to keep projects moving forward without fierce opposition bringing their budgets to blows, it is essential that they trade traditional public relations practices for advanced social risk analyses and proactive strategies to get in front of protesters — who have proven they have the power to shut projects down. For years, Jim Sisco, president and founder of ENODO Global, a consulting firm specializing in risk analysis and population-centric engagement, has worked on developing social risk analysis tools and tactics to help companies stay ahead of potential crises that percolate in communities around the globe. He helped create an effective system as a former U.S. Navy intelligence officer during Operation Enduring Freedom in 2009 when he was charged with integrating U.S. troops into Afghan communities as seamlessly as possible. Now working with a wide range of companies, including operators and service companies, he emphasizes that organized extremist groups — which spread false and misleading information in alarming tones via the channels of social media — are a force to be reckoned with. It requires staying ahead of the opposition, continuously monitoring the sentiments of a community in real time, and proactively communicating with the public prior to project implementation. Sisco said companies are still relying on outdated public relations tactics: Business intelligence, which is driven largely by geopolitical factors, is often geared toward business elites, not communities. Implementing visible security measures before the project starts creates barriers between a company and the surrounding community and can trigger opposition. Public relations tactics are too often reactive in nature, and corporate social responsibility programs frequently fail to address the true needs of a community, rousing the residents and creating conflict. As early as 2012, protests from environmental groups and landowners began against the Keystone XL pipeline, which was designed to run through Nebraska’s environmentally sensitive Sandhills region. Citing concerns such as water pollution and an adverse effect on wildlife, their voices were heard by former President Barack Obama when he vetoed a bill to move the pipeline forward in 2015. President Trump took action last January to expedite the revival of the project. The Keystone XL and the Dakota Access pipelines are just the beginning of energy infrastructure coming under attack. 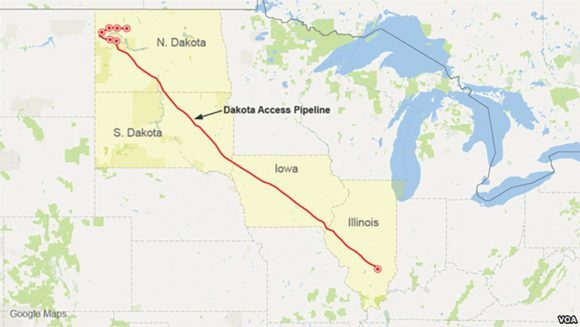 An article titled “Get Ready for the Trump Pipeline Boom” in a March 2017 issue of Mother Jones lists eight pipelines as the next targets for activists, including the Trans-Pecos, Bayou Bridge, Mariner East 2, Sabal Trail, Diamond, Atlantic Sunrise, Pacific Connector and Agua Prieta. 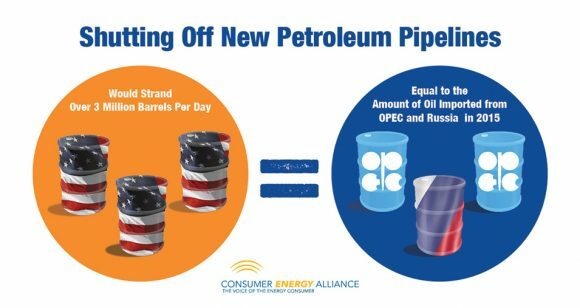 Aware of the burgeoning opposition to energy infrastructure and growing hostility against the oil and gas industry, Consumer Energy Alliance produced a report earlier this year that demonstrated the consequences if planned oil and gas pipelines were prevented from being built. Called “Families, Communities and Finances: The Consequences of Denying Critical Pipeline Infrastructure,” the report concluded that the failure to permit and construct new pipeline infrastructure and the inability to obtain permits and approvals for coal, natural gas, nuclear and petroleum-fired electricity generation power to maintain the nation’s existing power generation would create a shortfall of one-third of the electricity generation needs from the overall U.S. electricity market by 2030. CEA President David Holt put the study into perspective by explaining that a total of 12 states — California, Florida, Illinois, Ohio, New York, Texas and all of New England — would be in a permanent blackout. 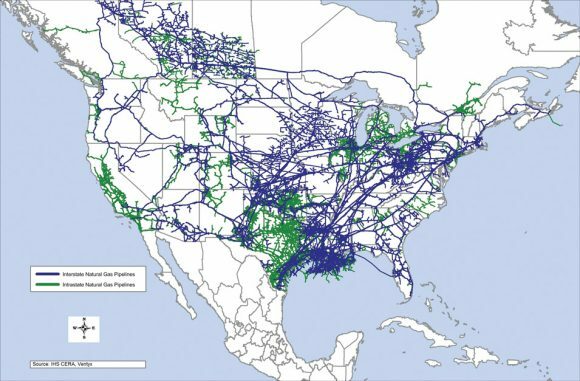 Pipelines across the United States, time to stop building new pipelines and shutting down pipelines as the era of carbon energy comes to an end. There is little question that professional activists and the mainstream media, which have been echoing their voices, have beat the industry to the punch when it comes to communicating with the public and mobilizing citizens to take a stance. In reality, more than 2 million miles of pipelines stretch across the nation to deliver energy to the consumer, and more than 99 percent of those pipelines are safe and effective, Holt said. And unlike barges and trucks, they don’t release emissions. Holt strongly advocates for the industry to engage with communities, share its plans and address questions to reduce the potential for professional activists to hijack a community’s true concerns for the sake of their own agendas. Because protests are now an almost guaranteed response to unwanted projects, Sisco teamed up with the Texas A&M Engineering Extension Service to provide tools to address professional activists and negative public sentiment in a course called “Introduction to Population-Centric Social Risk Analysis,” offered for the first time last June. The course, which is blazing trails with its on-point curriculum, introduces social risk and techniques to recognize the factors that propagate instability within communities and across societies. “By understanding these concepts, a CEO or a first responder will be equipped with the knowledge to make sense of the unpredictable nature of today’s dynamic societies and employ proactive strategies to engage different segments of the population,” Sisco said. Ultimately, the energy industry must embrace modern-day tactics to move forward with projects without encountering hurdles that are too high and too costly, Sisco said. Comprehensive social risk analysis is the new brand of public relations needed to stamp out the many fires that are anticipated to ignite.